Robert J. Peters O.D. graduated from Illinois College of Optometry in 1990. He then completed a one-year post doctoral training in pediatric optometry and binocular vision in 1991. He began his career at the Metropolitan Eye Care Center in Park Forest, Illinois. He then served as faculty for the Illinois College of Optometry/ Illinois Eye Institute. He was clinical instructor from 1992-1993 and then assistant professor from 1993-1999. He was appointed chief of service for the optometry department at Columbia Olympia Fields Osteopathic Hospital and Medical Center (1992-1997), acted as a consultant to the Head Start Program in Matteson, Illinois (1993-1999) and as a health service advisory committee member for a youth service center (1996-1999). In 1999, Dr. Peters relocated to Grand Rapids, Michigan and joined Pediatric Ophthalmology, where he continues to devote his expertise to the non-surgical diagnosis and treatment of pediatric eye disease and adult strabismus. Dr. Peters maintains active membership in professional organizations including the American Optometric Association, Michigan Optometric Association and American Academy of Optometry. He has participated in field research with publications while in Illinois. 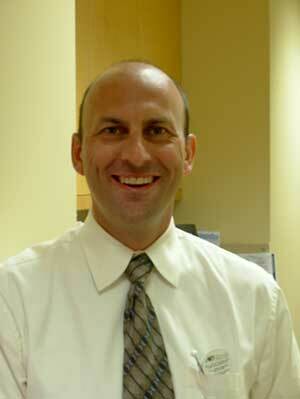 He currently is an investigator for the Pediatric Eye Disease Investigators Group (PEDIG).